Man Crush! Dude Robs a Bank with a Glue Gun! 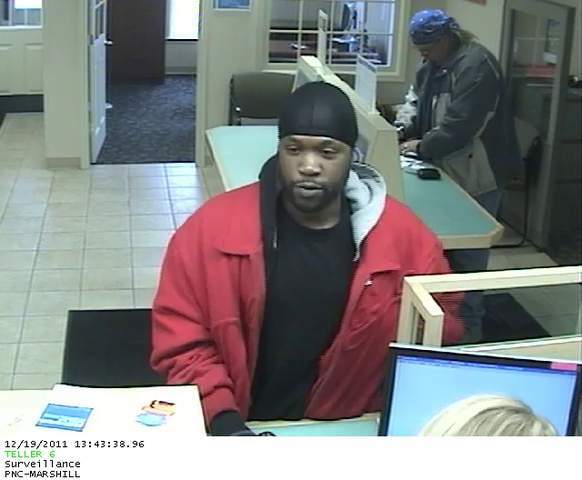 INDIANAPOLIS (WISH) – Police arrested a man they say robbed a bank with a glue gun on Monday. Around 1:40 p.m. Monday, an armed robbery was reported at PNC Bank, 3003 Kentucky Ave. Bank employees said the man displayed what they thought was a gun and told them he had a bomb, while showing them something taped to his leg. The man got away, but officers from Indianapolis Metropolitan Police Department and the FBI Safe Streets Task Force identified him through surveillance video. Officers tracked down their suspect, Aaron Randolph, in the 3300 block of South Lockburn Street. They found all the money, along with the suspected “firearm” that was used — a glue gun. They also determined Randolph wasn’t armed with a bomb, as bank workers said he threatened. Randolph was arrested but had not been formally charged as of Tuesday afternoon. A glue gun!!? Yes! Incredibly innovative. Proud of this guy… I mean if you’re going to be a bad person, at least do it in style. This is trickery at it’s finest. A glue gun and a “bomb” strapped to his leg. My favorite thing to do is imagine the thought process of these jokers. I’m broke… I’m gonna rob a bank…but I don’t have a gun. Hmmm… what if tape my remote control to my leg? Yeah, that’ll work… that’s my bomb. Now for a gun.. hmmm… I got it! My girlfriend’s glue gun that she uses for arts and crafts time. I’ve said this a million times before… most recently in my Geezer Bandit post… robbing banks is freaking HARD to do these days. Yet, somehow… these morons just keep robbing banks and getting away with it. Maybe it’s not so hard after all? Like, does the banking industry just pay Hollywood to make movies about bank robbing and how you have to be some insane savant with incredible smarts, skill, precision, luck & planning to even stand a chance at robbing a bank? I know this guy didn’t “get away”, but sounds like he would’ve if he was smart enough to wear a freaking mask. They got him from that crystal clear surveillance shot up top. How dumb are you? Point-Break-robbing-a-bank-101: cover your damn face. Seriously, if this dude just pulls that do-rag over his face instead of wearing it on his head… he’s sitting at home on a bundle of cash with a framed glue gun on the wall. This entry was posted in News and tagged bank robbery, glue gun bank robbery. Bookmark the permalink.